In November, we celebrated of the power of teachers, women, and leadership at the certification event of our Home-School Partnerships Programme (HSPP). Over 140 new Teacher-Facilitators were trained in 2018. These Foundation Phase teachers are committed to bridging the gap between school and home, working with over 1200 parents to support their children’s early literacy development at home. We were privileged to have guests from the WCED (metro districts) to help us celebrate. Thank you to the donors who support the HSPP: Ackermans, ELMA Foundation, Davies Foundation, Fynbos Foundation, and DG Murray Trust. 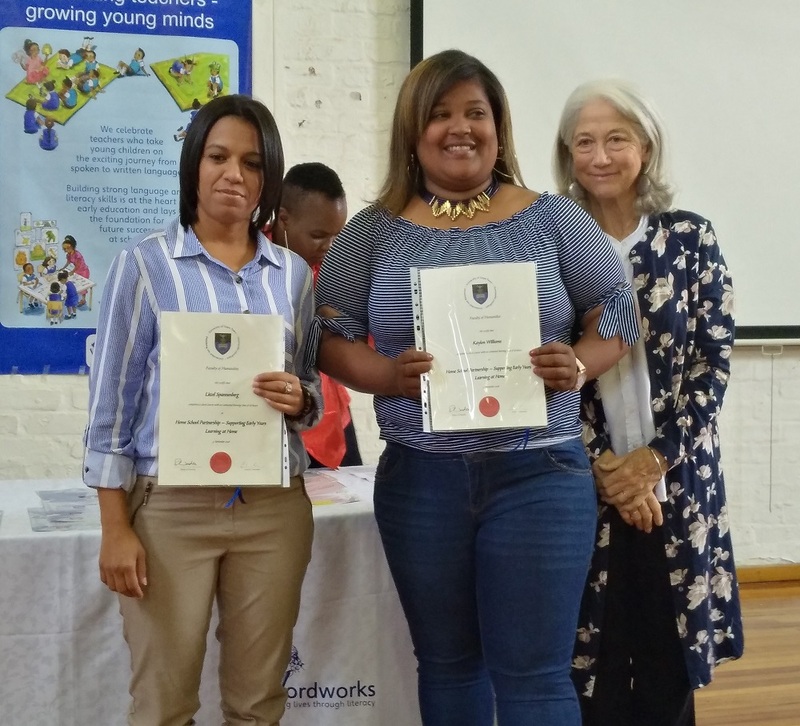 Thanks also to the UCT Schools Development Unit for showing their confidence in this programme by accrediting the HSP Teacher-Facilitator training as a UCT short course. You can view an album of pictures taken at the wonderful event on our Facebook page: @wordworksSA.